Chemotherapy is useful in destroying cancerous cells, but its harm on healthy cells is also evident. A noticeable side effect of this treatment is the loss of hair. If you have been given the all-clear, and can discontinue chemotherapy, you may wish to consider ways to assist with the healthy growth of new hair. This article will focus on why this treatment causes seemingly unavoidable hair loss, as well as techniques to promote hair regrowth after chemo. Adriamycin or odoxorubicin has quite an extreme effect on hair, generally causing hair to fall out within the first three weeks, leading to massive hair loss. Adrucil or fluorouracil generally does not cause hair loss. Cytoxan or cyclosphamide often leads to the thinning of the hair, but generally does not cause hair loss. Taxol or paclitaxel may cause quick, extreme hair loss. It is the unfortunate truth that many areas of the body can lose hair during chemotherapy treatment, including on the scalp, armpits, eyebrows, and eye lashes. 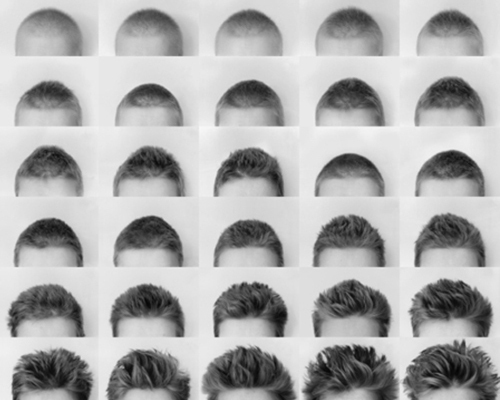 The time it takes for noticeable hair regrowth after chemo varies from person-to-person. That being said, generally you will begin to notice your hair growing back after two to three weeks, albeit only slightly. After around a month or so your hair should begin to grow naturally at a normal rate, and after around two months post-chemo, you hair will be around an inch in length. It is important to note that hair in other areas that may have fallen out, such as the eye lashed, may take longer to grow back than hair on the head. If you underwent whole brain radiation and lost your hair as a result then you will likely experience a longer time waiting before noticing any hair growth. This type of treatment is more damaging to the hair follicles than chemotherapy, meaning it can take up to six months before even an inch of hair grows. The new hair may also be thinner, and there is a chance of a bald spot appearing. The effect of Tamoxifen on the hair will last as long as the drug is administered, which can sometimes be for five year durations. That being said, it is possible for the thinning of the hair caused by this medication to subside a year into the treatment. In some rare instances, an individual may experience no further natural hair regrowth after chemo. This can only happen after many years of intense therapy, which leads to the hair follicles becoming too damaged to instigate further growth in the future. Although as stated, this is a rare occurrence. Making lifestyle changes, such as an improved diet full of nourishing foods, drinking plenty of water, exercising regularly, and avoiding toxins such as cigarettes and alcohol will not only help to improve your overall health, but also assist with the rate of hair growth. Ingesting certain vitamins, such as vitamins B, E, C and Biotin can work to nourish your hair naturally and ensure that healthy growth can take place. This simple carbohydrate can be found in brown rice, lima beans, whole grain, citrus fruits (with the exception of lemon), leafy green vegetables, nuts, bread, wheat germ, molasses, cantaloupe, and liver. It is vital in encouraging regular cellular function within the area of the scalp, helping to produce healthy hair cells. Examples include omega-3 and omega-6, which can be found in fish such as salmon, mackerel, sardines, etc. The consumption of these essential fatty acids can work to promote hair growth, as well as overall health. Some people have stated how rubbing essential oils on their scalp has helped to promote hair growth. Many essential oils can be purchased, such as lavender and rosemary, the use of which can yield positive results. When seeking herbal remedies, always know what you are buying to ensure it will have the intended affect. This information can be ascertained via independent research or speaking with a healthcare professional. If you want to encourage hair regrowth after chemo, then ensure to treat your head with care. Use gentle products and ensure to not expose the area to harsh chemicals. Widow's Peak vs. Straight Hairline: Which Is Better?